Indonesian-based motorcycle ride-hailing app, Go-Jek, has had its Transport Network Company (TNC) application denied by the Land Transportation Franchising and Regulatory Board (LTFRB), for failure to pass nationality requirements in the country's foreign ownership laws. 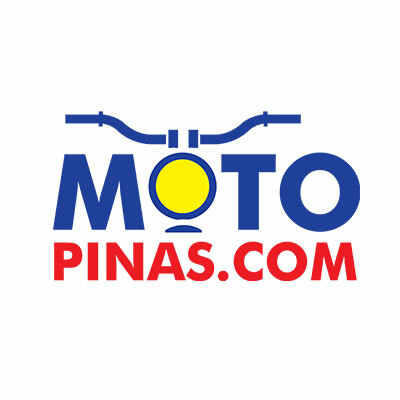 Go-Jek, represented in the Philippines by its subsidiary, Velox Technology Philippines, Inc., failed to prove that it is at least 60% Filipino-owned. The LTFRB decision was pursuant to Article XII, Section 11 of the 1987 Philippine Constitution, which states that no franchise, certificate, or any other form of authorization for the operation of a public utility shall be granted to corporations or associations that are not at least 60% Filipino-owned. The Pre-Accreditation Committee of the LTFRB observed that, based on the Deed of Absolute Sale of Shares of Stock, only 20.4% of the 1.2 billion common shares of Velox Philippines’ parent company, Velox South-East Asia Holdings Pte. Ltd. (Velox SEA), was actually sold to local shareholder, Pace Crimson Ventures Corporation (PCVC). Further, based on LTFRB Resolution No. 2019-015, Velox Philippines also failed to present necessary documents such as Proof of Payment of Capital Gains Tax (CGT) and Proof of Payment of Subscribed Shares allegedly subscribed by its shareholder, PCVC. LTFRB Chairman Martin Delgra III maintained that the Board simply affirmed the Pre-Accreditation Committee's resolution denying the application of Velox Philippines. “We need to follow the 60-40 requirement of the law for TNCs to operate in the country,” Chairman Delgra said. Additionally, Undersecretary for Road Transport and Infrastructure, Mark Richmund De Leon, pointed out that the Department of Transportation (DOTr) has not taken any part in the accreditation process of Velox Philippines, emphasizing it is well within the mandate of the LTFRB to solely decide on such matters. “The DOTr does not intervene with the decision of the LTFRB during that phase of deliberation. If Velox Philippines wishes to appeal, they can do so before the DOTr, through the Franchising Review Staff,” Usec. De Leon said. De Leon added that the DOTr and its sectoral and attached agencies continue to abide by the tenets of transparency and accountability, as espoused by Secretary Arthur Tugade, in vital government dealings such as TNC accreditation that involve the safety and security of Filipino commuters. Go-Jek was established in 2010 as a motorcycle ride-hailing phone service in Indonesia. Since then, has evolved to provide on-demand transport and lifestyle services. Go-Jek now operates in over 50 cities across Southeast Asia.